Distinguished Medal of Valor: Actions above and beyond the call of duty; and exhibiting exceptional courage, extraordinary decisiveness, and the presence of mind; or an unusual swiftness of action, regardless of his or her personal safety, in an attempt to save or protect human life. Medal of Valor: Awarded to departmental members for conspicuous gallantry while acting in the line of duty, not falling within the guidelines for the Distinguished Medal of Valor. Meritorious Service Award: Awarded to sworn or civilian personnel for an outstanding job accomplishment that has contributed to a more effective and efficient Sheriff’s Office. This may involve improved administration, improved operations, substantial cost savings, or other benefits to the department that have materially facilitated the efficient performance of the Sheriff’s Office mission. Exceptional Service Award: Awarded to sworn or civilian personnel who have demonstrated sustained outstanding skill, and having exhibited diligence, productivity, judgment, and responsibility. The act or acts must be representative of performance beyond the requirements of the standard work assignment. Purple Heart Award: This award recognizes an employee who is seriously injured or killed in the performance of their duties under honorable conditions due to assaults, fire, explosions or other overt actions, excluding at-fault traffic accidents. Serious injury generally requires substantial hospitalization. The Purple Heart will be awarded to an employee whose life was lost in the performance of duties under honorable circumstances and may be awarded in conjunction with any other award the recipient may be entitled to due to their actions. Lifesaving Award: This award recognizes an employee for an act resulting in saving or substantially prolonging (days or weeks) a human life. The rescuer need not have been subjected to personal risk. One lifesaving award per employee per incident may be awarded. 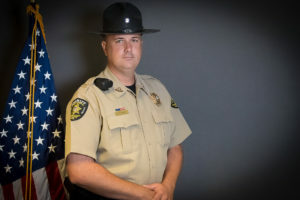 “Sergeant Steve Maples” Community/Volunteer Service Award: is appropriately named in honor, and with the deepest appreciation of the volunteer service of Christian County Sheriff’s Office Sergeant Steve Maples. Sergeant Steve Maples started his volunteer service with the Sheriff’s Office in June of 2001. Sergeant Maples worked in the Christian County Jail volunteering numerous hours to the Sheriff’s Office as a Reserve Corrections Officer. In May of 2006, Sergeant Maples earned his commission and began volunteering as a reserve patrol deputy. 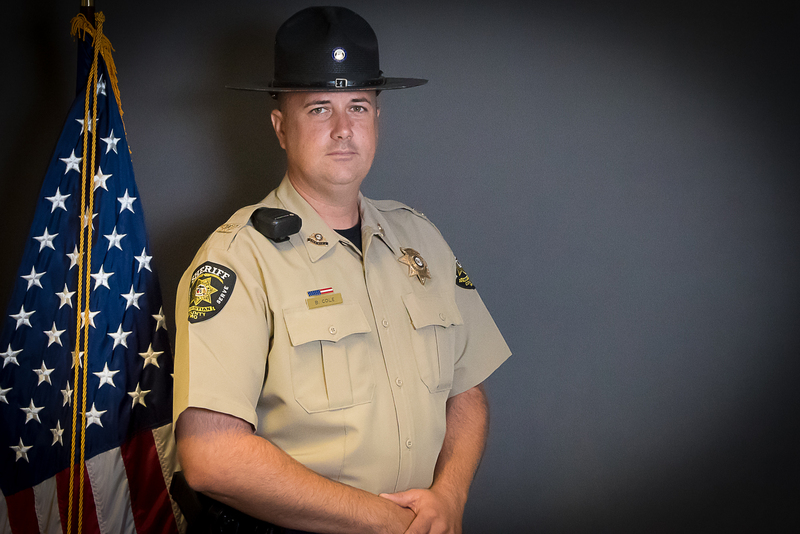 Sergeant Steve Maples currently serves in Patrol as a Sergeant in the Reserve Division of the Sheriff’s Office. In his volunteer career, Sergeant Maples has been active in many local veterans organizations and community organizations, such as the Shriners, the local Combat Veterans Motorcycle Association (CVMA), the local Veterans of Foreign Wars (VFW), and the local Masons Lodge. Sergeant Maples’s years of community service has improved the quality of life for many veterans, citizens, and children in the local community. His recorded hours of volunteer service as a Patrol Deputy is a record that will remain unchallenged for the foreseeable future. 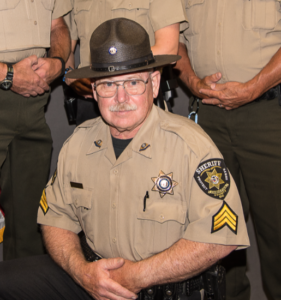 Sergeant Maples’s years of volunteer service as a Patrol Deputy have been for the betterment of the Christian County Sheriff’s Office, and without question, have made Christian County a safer community in which to live and work. An exceptional contribution of volunteer hours to the betterment of the Sheriff’s Office. 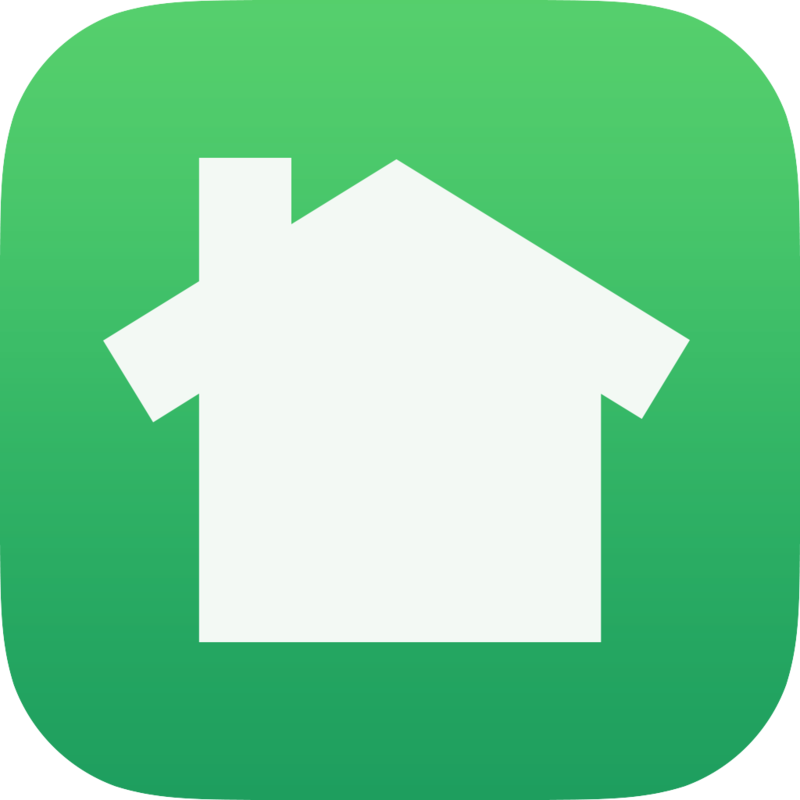 The development, organization, and management of a unique program specifically designed to provide the community with a service that was not previously available. Such a program will have made a significant impact on the community or its residents by further enhancing their quality of life. The consistent resolution of community conflict or problems by an individual officer. Such an officer would consistently demonstrate the ability to identify problems and seek appropriate solutions through his or her own creativity or the use of other resources. The actions of this officer will have made a significant impact on the community or its residents by enhancing their quality of life. The active participation of an individual member in community events or services not directly associated with his or her employment of the Sheriff’s Office. The actions of this member will have made a significant impact on the community or its residents by enhancing their quality of life. Military Service Award: Awarded to any sworn or non-sworn member of the Sheriff’s Office who has been honorably discharged from any branch of the United States Armed Forces. Sworn members who are currently active in the United States Armed Forces but have not completed their initial term of active duty will be eligible for the award after the end of their active duty period and only if under honorable conditions. This award is presented to sworn personnel in the form of an award ribbon and an award certificate from the Sheriff. Top Cop Award: This award recognizes the overall winner of the annual “Christian County Sheriff’s Office Top Cop” skills competition.